As we approach the holiday season, we are filled with images of families gathering for festive holiday meals, football games, and gift-giving. A season that is supposed to be filled with joy can be difficult for many individuals living with behavioral health conditions. 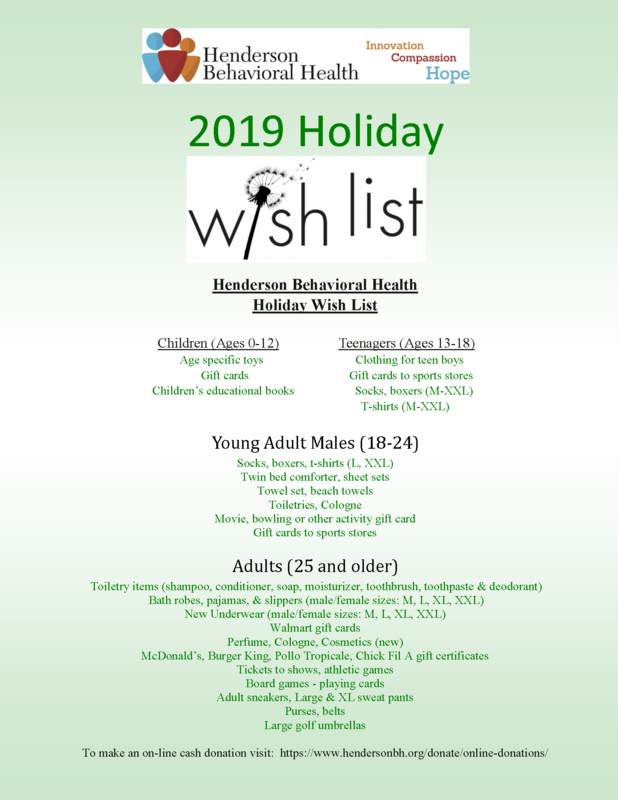 Often the “most wonderful time of the year” becomes the “most stressful time of the year.” Poverty, alienation from family, stigma and loneliness often prevent a person with a mental health or substance abuse condition from enjoying the holidays. As a non-profit organization, we are continuously working to give children, adults and families support and hope for a brighter future. There is no better time than the holidays to show a person that someone cares about them. Your generous donation of any amount, will do just that. Help to brighten the lives of children who may not otherwise be remembered this holiday season or provide a hot meal to an individual or family in need. If you would like to help, please contact me directly at 954‐777‐1624. Thank you for your kind and generous support..
Wishing you and yours a joyous holiday season.